The EnerQi Credits idea is that the units we are paid to do work should represent work itself. If we expend energy to do work, and that energy is measured in calories, imagine earning "one digit in the computer" for every calorie you burn. Then trading those units for goods and services. 1. EnerQi Credit participants wear calorie counters to keep track of calories burned in real time. Calorie counters measure full body energy output. 2. 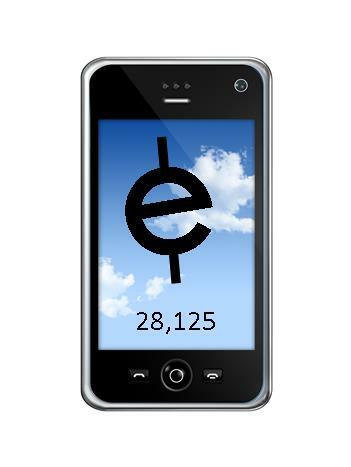 Energy output units, referred to as enerqi credits - or qi - are saved into a digital wallet. 3. EnerQi Credit participants trade their units for goods and services. Participants are free to set their prices for products and services, however, the DEFAULT PRICE of a product or service is the amount of calories burned to create the product or perform the service. By doing work for yourself, you automatically earn the default price. By doing work for someone else, you automatically earn the default price plus the DEFAULT PRICE charged to the person or organization receiving the work - unless another negotiated price above or below the default price is agreed upon for exchange.